Envirobond has been a proud member of the Interlocking Concrete Pavement Institute since 2007. 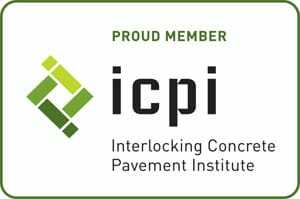 The ICPI is the industry association that acts as the authority on best practices within the Interlocking Concrete Paver industry. Our jointing sand products conform to the ICPI standards and are designed to be used in a properly installed segmental system. It is important to note that our jointing sand products are just one portion of the entire system. In order for the Envirobond products to perform optimally, the entire system must be installed using best practices. The technical specifications for installing Interlocking Concrete Pavers, can be found here. With Envirobond products, joint sand loss due to wind and rainfall erosion is substantially reduced while nuisance weeds and ant infestation are effectively controlled. Most importantly, you can’t screw it up! Unlike polymeric sand, you will never have to worry about poly haze again with Envirobond products. Our products can be installed any time, even immediately before it rains. Unlike polymeric sand, EnviroSAND and EnviroSTONE can’t be overwatered and you never have to worry about staining on the pavers. In addition, because the plant glue is self-healing, every time it rains, any cracks that may have formed due to ground shifting or other movement will immediately re-heal with our jointing sand products. Unlike chemical alternatives, it is easy to lift out and fix pavers after installation using EnviroSAND or EnviroSTONE. Using Envirobond is like using a pencil instead of a pen…you can always fix your mistakes! Polymeric jointing sands need to be completely replaced over time when they begin to crack or wear away. EnviroSAND and EnviroSTONE can be topped up, making maintenance a snap!